It is my pleasure to welcome you to South Shores Magnet School for the Visual and Performing Arts. South Shores is a first through fifth grade magnet school residing in ESC South and Board District 7 of the Los Angeles Unified School District (LAUSD). Our school is privileged to have an extremely dedicated faculty, staff, and administration who continuously provide the students with an outstanding instructional program incorporating the visual and performing arts with a rigorous standards-based curriculum. To attend South Shores, children in grades first through fifth must complete a magnet school application, submit it to the Student Integration Services, and be notified of acceptance into the school. Students are selected randomly by computer, based on LAUSD and court-approved guidelines, ethnic balance, and available space. 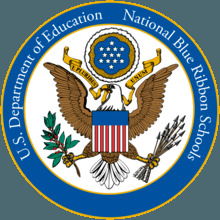 Our kindergarten program, a vital part of our school, is designated a school of residence by the LAUSD. This means that children who live within our attendance boundaries may attend our kindergarten program without having to apply to our magnet school. South Shores Magnet School for the Visual and Performing Arts is located at the end of the Palos Verdes Peninsula, overlooking the Pacific Ocean. 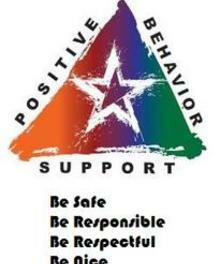 South Shores has very supportive and active families who live throughout the LAUSD. Our students consistently study hard, strive to attain high goals, and make sincere efforts to be outstanding citizens. We greatly appreciate our wonderful parents for raising their children to come to school each day prepared to learn, achieve, follow the rules, and get along with others. Throughout the year, our students enjoy participating in numerous visual and performing arts events including talent shows, art shows, musical productions, and concerts. Because of our close proximity to the ocean, there are a number of related museums and centers that are conveniently available. Our fifth graders look forward to their annual three day/two night field trip to the Catalina Island Marine Institute (CIMI) at Toyon Bay where the instructional program includes snorkeling, marine studies, hiking, and laboratory activities. South Shores Magnet School for the Visual and Performing Arts maintains high academic standards while providing a nurturing small community environment. 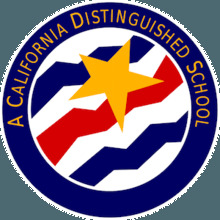 We are proud to have earned the title “California Distinguished School”. 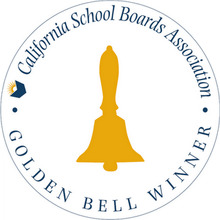 This esteemed honor reflects the excellence of our faculty, staff, parents, and administration, who work together to provide their students with the finest education possible. In addition, South Shores received the coveted Bravo Award in recognition of its many accomplishments in visual and performing arts education. We are also honored to be bestowed the Arts Prototype School Grant. This title allows our students to participate in outstanding visual and performing arts lessons presented by three talented LAUSD teachers who visit once a week throughout the year. I hope you enjoy exploring our web site and learning more about our school. As you will soon observe, our faculty, parents, students, staff, and administration work hard to make South Shores Magnet School for the Visual and Performing Arts a special and unique place for learning, excelling, accomplishment, and success.